In a few weeks, I will be traveling out of state with another family for one week. There will be seven children, ages 6 months to 7 years old, and 4 adults. Today we found out our hotel does not have a refrigerator. Now the other mom and I are on a mission to feed our kids without compromising good nutrition and wise spending habits. I have been a registered dietitian nutritionist for over 15 years and real life scenarios like this one still test me. The fact is, the Standard American Diet, or SAD for short, makes this task difficult. Challenge accepted! Like any good American mom, my first step was to Google “unrefrigerated healthy meals” and found out I had a lot of options if I wanted to feed my kids in space, on a boat, or in the wilderness. There are actually some really great ready to eat meals that don’t compromise good nutrition. Go Picnic was one brand that caught my attention. However, this may not be an option for picky eaters or families on a tight budget. Step two: consider foods within each group that doesn’t require refrigeration. Fruits, like apples, oranges, and bananas; grains, like whole wheat bread and crackers; and, proteins, like seeds, nuts, and nut butters all came to mind quite easily. Vegetables were more of a challenge. The food pouches that have become popular may be a good option for this food group, and worth the extra dollars for the sake of ease of travel and some extra vitamins. Another option is to load up on the veggies during the first few days when we have coolers. Peppers, celery, cucumbers, and snap peas all make for great snacking options. Step three: consider foods for each meal and snack. Breakfast will likely consist of an oatmeal bar or cookie and fresh fruit. There are some wonderful recipes for hearty, healthy oatmeal or granola bars online. Lunch may include a veggie pouch with either a peanut butter sandwich or crackers and jerky. A seed, nut, dried fruit mix will make great snacks. Again, online recipes abound for snack mixes. And children make great chefs when it comes to these types of recipes. So, this will be their job, while I pack the car. The reminder for us all with this challenge is that planning will make all the difference, in keeping within a budget and filling up on healthy, great-tasting foods. Taking a few extra minutes to plan a menu and a shopping list will save us time, money, and energy (literally, we will have more energy from the real foods chosen, rather than processed or fast foods that often leave us tired and rundown). So, wherever you travel this summer, I hope you will accept the challenge to plan and choose nutritious foods. 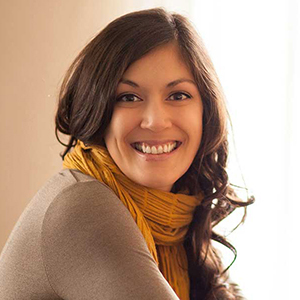 Melissa is a registered dietitian and lecturer in the Health and Human Performance Department’s Dietetics Program at UT Chattanooga. She and her husband, Chris, are the proud parents of their 7-year-old son, Craig. She enjoys time with her church family, taming her lab mutts–Mabel and Moses—wine with neighbors and traveling south for a beach vacation or visit with her nieces. Her favorite subjects are faith, food, farming, family, friends and football. She earned a bachelor’s degree in nutrition from Samford University, a master’s degree in health education from UTC, and is working on her doctorate in UTC’s LEAD Program. I love Netflix binges. I am a sucker for binging on documentaries because I rationalize that learning new things justifies spending an entire Sunday afternoon glued to the couch. About three years ago, my husband and I had a weekend where we binged on food-related documentaries. Of the numerous ones we watched, “No Impact Man: The Documentary,” “Forks Over Knives,” and “Fat, Sick, and Nearly Dead” were our favorites. While I highly recommend all three, “Fat, Sick, and Nearly Dead“ sparked a smoothie and juice adventure in our kitchen. The documentary follows an Australian man as he travels across the United States. He juice fasts for 60 days and then adopts a plant-based diet. We had never made smoothies or juices but were inspired to give them a shot. We didn’t have a blender or juicer and really didn’t even know the difference, so our journey began with research. We found that blenders don’t filter anything out. 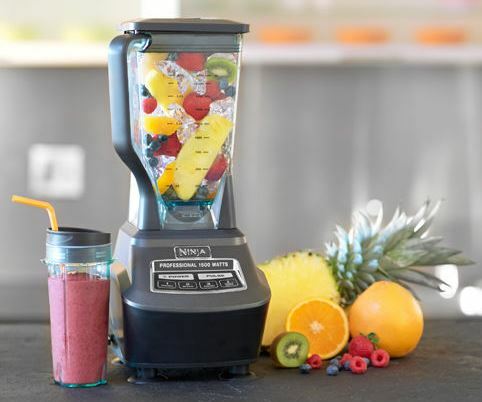 Everything that goes into the blender ends up in the juice or smoothie. Juicers pulverize whatever you put in and separate solids from liquids, so only the juice comes out. There really isn’t a definitive answer about whether blending or juicing is better. In my opinion, it’s best to do some research on blending versus juicing and make a decision based on your dietary needs or preference. My husband needs a high-fiber diet, so we opted for the blender. Plus, I have a beverage preference for frozen margaritas! Vitamix was the most highly recommended blender at the time—and probably still is—but was out of our price range. The Ninja brand of blenders had great reviews, too, and my husband’s coworker vouched for its quality and reliability. I waited patiently for a sale and finally bought a Ninja Mega Kitchen System. I chose the kitchen system over other models because it has a built-in food processor and includes a 72-ounce blender pitcher, eight-cup food processor bowl and two, 16-ounce blender cups. The adventure really began once we got the blender. We began by blending random veggies and fruits and forcing ourselves to drink every gross concoction we produced. That was a bad idea that led to a lot of gagging—but also a lot of laughing! Eventually, our trial-by-error method produced recipes that actually tasted good. But I really don’t recommend this hit-or-miss approach. I’m a big Pinterest user and recommend the site for finding smoothie and juice recipes. You can find healthy smoothies for breakfast, juice recipes for detox, smoothie ingredient “formulas,” or follow a juice and smoothie board. As a vegetarian and distance runner, I’m very mindful of my protein intake. I need to consume at least 60 grams of protein—especially on long-run days—so I have to be intentional about replenishing lost nutrients. My smoothies always include a scoop of Garden of Life Raw Organic Chocolate Protein Powder. I like this brand because it’s vegan and better tasting than other protein powders I’ve tried. If you don’t need the extra protein, you can skip it or swap it for another supplement, such as flax or chia seed. My husband loves chicken fingers, Taco Bell, Philly Cheese steaks and basically all unhealthy foods. He eats a vegetarian and (mostly) clean-eating diet at home, but he always splurges on meat and a deep-fried something-or-other side when we eat out. Since he’s prone to indulging in unhealthy foods, he likes to make veggie juices to ensure he’s getting essential vitamins—before he demolishes a large french fry. He drinks each 72-ounce batch within 24 to 36 hours because there are no preservatives. Therefore, the juice can spoil. You can add most any veggies to this drink, but I caution against tomatoes, broccoli and carrots because the taste and/or texture gets funky. The sweetness of the apple and pineapple juice offsets the veggie flavors, so you don’t need to add honey, agave nectar or other sugar or sweeteners. Also, use natural apple juice and pineapple juice to avoid high-fructose corn syrup. Blending smoothies or juice is now a staple in our weekly meal plan. Sometimes I toss in a random fruit or veggie just for kicks, but mainly we stick to our trusted recipes or new ideas from Pinterest. I hope you’re inspired to give them a try, too!